(combining Studio A & B). ProFoto, Canon, IMAC 27" RED, etc. Fh Studios offers you a full set of high-end equipments. Video cameras and lighting systems for Film & Photography. The studio is located in the heart of Griffintown. Steps away from Downtown, Old Montreal, with quick access to highways and bridges, as well as public transportation. 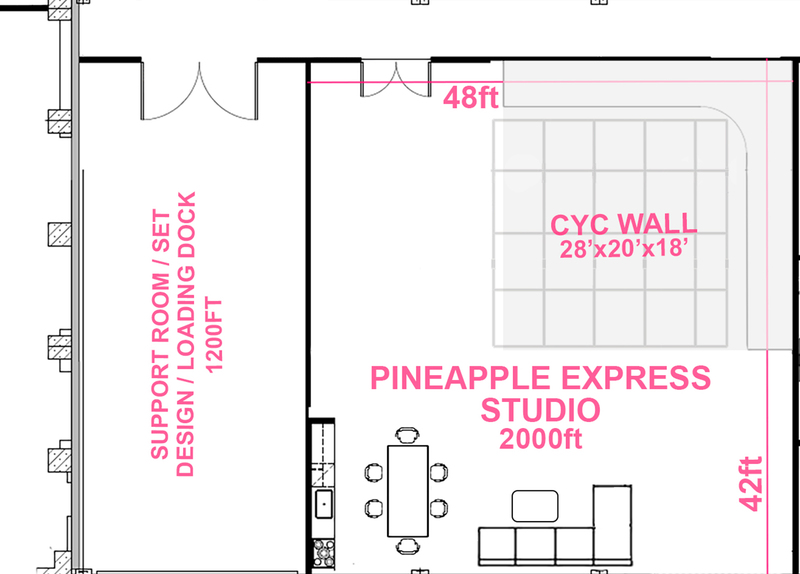 The Studio Pineapple Express: About 2000sqf fully soundproofed perfect for small scale film shoots, video productions and photo shoots as wel as food video & photography. It has a fully equipped kitchen, a movable makeup & Hair station for 2, dining Table with 6 chairs and a lounge area. The shooting area on the infinity wall is about 24 x 20ft & 18 ft high ceilings. Camlock 200 amp tri-phased. It is reach us for more info. 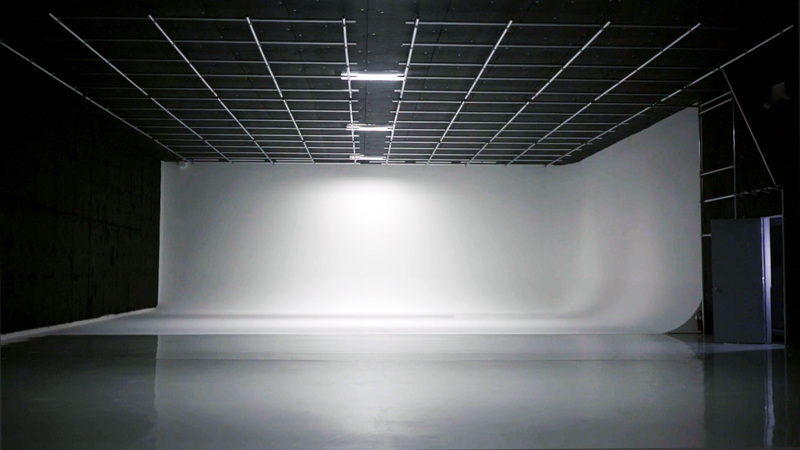 Our Sensi star Film Studio is the new perfect place for your Film, video or photo productions. 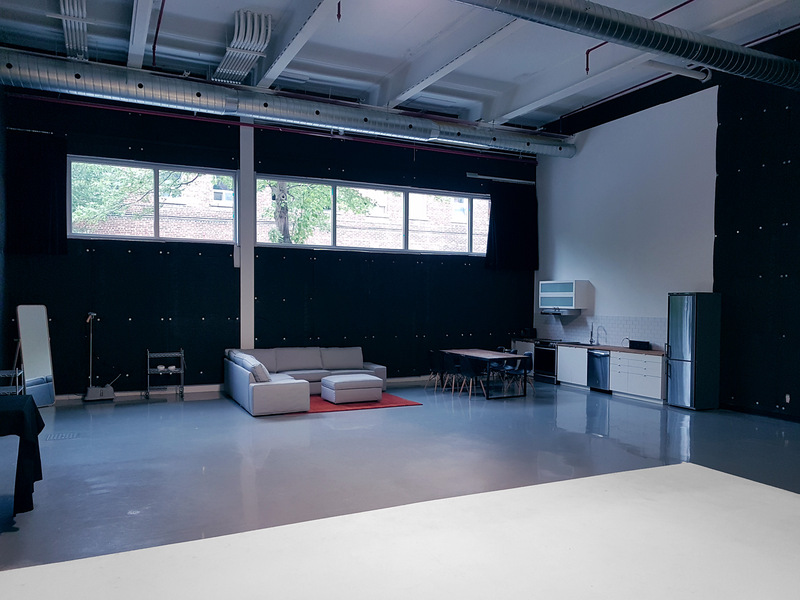 Located in the heart of ST Henri, this beautiful 5400 sqf soundproofed studio is designed by producers and directors to answer perfectly your needs and accommodate your clients without any hustle. With an infinity wall of 50’x 40’ in a 90 degrees angle, 18 ft high ceilings and 107ft deep x 50 wide with no obstruction. It comes with a support room which include a 16×16 garage door with a total of 1200sqf. 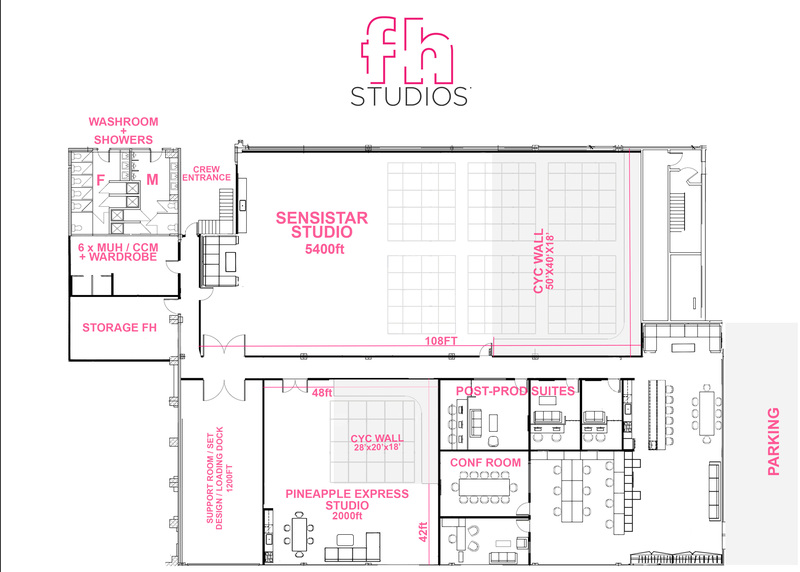 Also come with a separated space for Make-up, hair & wardrobe with 6 stations & 2 changing rooms. You may bring in cars or large set design. 2 x 200 AMP Tri-phased camlock for a maximum power. Contact us for more info or pay us a visit. Because we’re a group of photographers, cinematographers and producers, we know space like no one else. Our studios are designed around you and your needs, so that you can maximize productivity — and all this in a comfortable environment that will make you and your clients feel completely at ease. 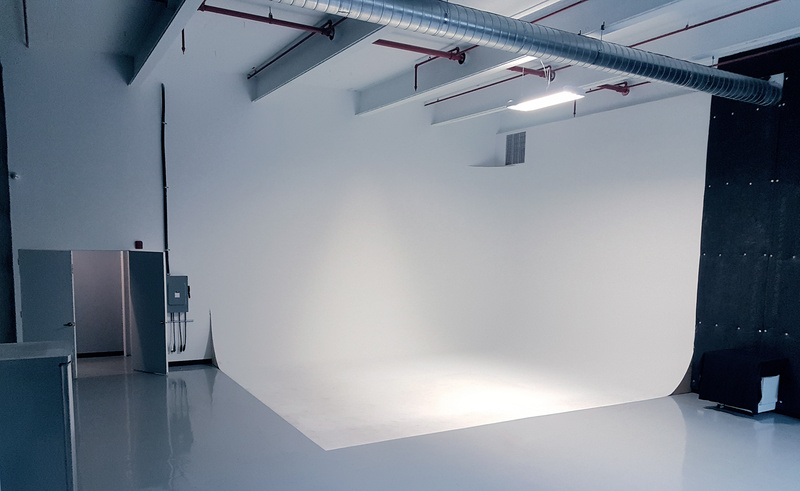 Both video and photography studios are open daily from 9 a.m. — 6 p.m. with an option for early / late shoots. We also can provide all kind of equipment for you so everything will be ready at the studio for your shoot. 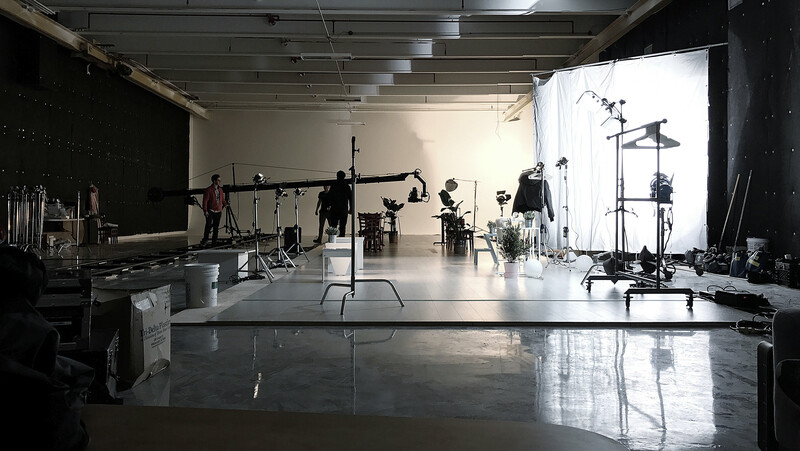 When it comes to photography and video production, we’ve got it down to an art form. For you this means a seamless production process, where every detail no matter how small, is covered - from turnkey projects to intensive collaboration with your team. 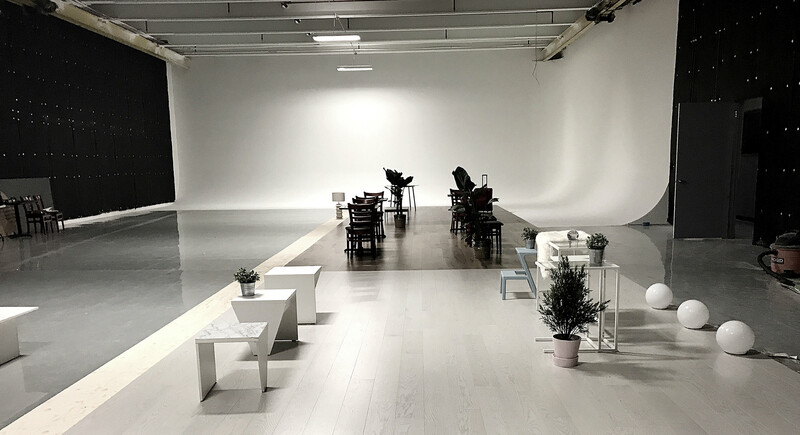 Whether you’re embarking on a small or large scale production, our team of award- winning directors, cinematographers and photographers are 100% dedicated to meeting your exacting demands. All this and our A-list of contacts along with our sister company H-films – a renowned Moroccan film production company – guarantees that you'll always be in good hands in Canada & Morocco. "If ever you need a producer in Canada. You have to hook up with this guy. On two occasions now Fayçal has been a legend. Not only looking after two shoots for us. But also going beyond the call of duty and making us feel welcome in Montreal. I look forward to working with him again. Hopefully soon!"